You've tried vinegar and water. But it only left smears so visible your windows looked worse after you cleaned them, than before. In fact, you've tried it ALL, and now you've decided those herbal-gerbil cleaning nuts (like me) must be crazy! But you haven't tried everything. Not until you try this one last recipe. I'm telling you, this is THE one, the magic potion, the answer to your window cleaning dreams! You don't believe me? Just wait. This recipe contains just the right mix of ingredients, all of which you probably already have in your pantry or medicine chest. Plus, one secret ingredient you may never have thought to include when cleaning glass, mirrors--basically anything you would use a store-bought window cleaner on. (Speaking of which: I'm betting you'll decide those store-bought brands are mud, compared to today's magic potion). But the best part? The best part is, you can make this glass cleaner for under .50 cents a bottle. That's about one-eighth the cost of a bottle of store-bought glass cleaner! Interested now? Good. Prepare to be amazed. Seriously. Using a funnel, pour everything into a 32-ounce bottle and shake until mixed. Want a fun way to LABEL your cleaning products? Try these premium chalkboard labels. They'll stay put on your cleaner bottle, and they come with a liquid chalk marker that's smudge proof, but easily erasable for quick re-labeling. Let's chat...Do you plan to give this one a try? Have another favorite cleaning recipe you want to share? I'd love to hear from you in the comments below. I need to give this a try! hate chemically cleaning products. Thanks for your comment, Shanti. Let me know how it works. Thank you I have recently been searching for information about this topic.. I like that you named it window shine! It's quite a fun name, and works for what it does. I only hope I can properly replicate this magic potion of yours! Thank, Tom! This window cleaner is very easy to make. I've used it for a year now, and love it. I use it anywhere you'd usually use Windex. Just be sure to shake the bottle gently before each use to stir up the cornstarch from the bottom so it won't clog the uptake tube. Also, after cleaning a surface, wipe it with a clean DRYrag to finish (flour sack towels works wonders). You'll be amazed how well this really does make glass and other surfaces shine. Thanks for your comment! At last i have found The magic DIY window cleaning potion. It's really awesome. My neighbor use it from many day. She suggested me to buy this. I will buy this as soon as possible. Thanks! Extremely interesting post! I like everything, which is about DIY, and especially cleaning products. It's great to know more cleaning receipts. Thanks for this one, I will save it and try it for sure!! I usually just rubbing alcohol as well! I never would have though to mix vinegar and cornstarch. Would you suggest to warming it up a bit for those hard to get off stains? Hi Kate! I have had very good luck using this without needing to heat it up. I use this cleaner on windows, granite counters, my stove, and any other surface you would normally use a commercial glass cleaner. Works great! Fantastic cleaner. I think the alcohol makes it streak-free and perhaps the cornflower adds a slight abrasive element to it. I tried this magic potion today but I think I might have done something wrong. My windows streaked really bad. I can see why it shines because it did through the streaks. Can you tell me what I could have done wrong? I even bought the flour sack towels you suggested. Did the cornstarch not dissolve enough? Hi Lenore. I really can't say why your windows streaked, based on the limited information you've given me, but here are a couple things to consider. First, did you you wash the flour sack towels before using them? Brand new un-washed towels will often have a chemical residue on them that could smear your windows. Also, did you shake the contents of the cleaner before applying it? You need to shake it to disperse the cornstarch before spraying. Also, be sure to wipe the glass until dry. This solution doesn't dry as quickly as other window cleaners. If you leave wet streaks, they may dry and look like smears. Additionally, I don't know if you were cleaning fairly clean windows to begin with, or really dirty ones, like outside windows. If really dirty, it will take a little more cleaning and wiping to get glass clean, just as with any other glass cleaner. This solution really does work. Hopefully, some of these suggestions will help. Thanks for your question. Thank you for sharing recipes very detailed glass cleaner water and mixing it, before that I was always looking for the formula and are not satisfied because they have not found the desired results. I will apply immediately for cleaning window glass of my family tomorrow. Also, if you are interested in building smart space, you can visit my blog, a lot of useful information for you. Hi There! I bought my flour sack towels at Walmart. If you're considering DIY window cleaning, it's not as hard as you might think. 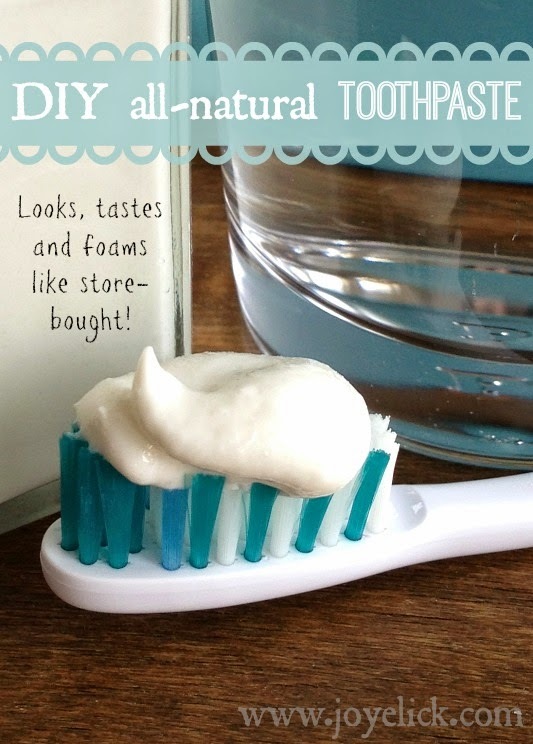 You can even make a mixture of your own with household items that are environmentally friendly. Basic window cleaning isn't difficult - all you need is the right tools, the right technique, and the right information to give your windows a polished clean. Cleaning windows appears like a straightforward undertaking yet there are a great deal of things to be thought about to carry out the occupation appropriately. There are distinctive sorts of windows nowadays and they all need diverse cleaning techniques. Perused this to discover more. Wow a perfect mixture for us all, I am so much flattered to be at your website and find our some impressive window cleaning potion. 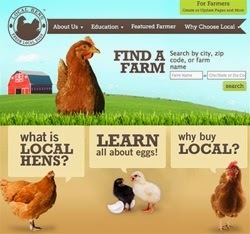 Farm Girl Inspirations is indeed one excellent place to learn all about the best DIY for our daily use. Great tips! I really appreciate it. Finally got a natural way of cleaning my windows. I just hate using chemicals. Thanks for sharing. NICK'S Window Cleaning services is Torontos's number one leading window cleaning business. If you looking for quality services, don't forget to contact us. Nice and interesting article, thank you for sharing. Please keep on blogging. Making your windows shine can be a challenge, especially if you don’t have the right information on what you should use. Am amazed that simple tips using readily available products can do the magic for you! Great tips worth trying! !Thanks for the information, I will use these amazing tips next time I clean my windows. Thanks for sharing such interesting post.I found it very useful.To get best Window Cleaning Warrington services , visit Deluxe Window Cleaning Ltd. Such a useful post you have shared....Window cleaning is not a complicated task but time consuming.Insight Service Group provides best Restaurant Kitchen Cleaning Services at genuine price. Window cleaning is a must to keep your clear vision on the nature outside. In most of the pg medical seats, the medical proven one. I tried cleaning the outside of my windows yesterday with 2 different store brands. They still looked filthy. We live in a windy area, so the dirt gets pretty thick. I actually ran out of cleaner, but I didn’t feel like hauling my kids to this store. I found this instead through Pinterest, and bam! They look amazing. Thank you!!! No more store brands for me! wow!... Thanks for sharing with us. I know someone who provides cleaning services in Dhaka. This is the last advance of the procedure. This progression is essential since it will guarantee that there is no cleaning buildup left in your cover. This will make your cover feel delicate and new. It is as yet a smart thought to acquire experts consistently or two to complete a cautious and exhaustive cleaning everything being equal and upholstery in the home. Statements via telephone are not trustworthy on the grounds that the mat estimations could not be right. You need the data to be precise when contrasting organizations. There will be some budgetary advantages that will accompany it. An all around cleaned and kept up cover wears less and will last more. By improving the life expectancy of your cover, you won't have to continue supplanting it. Great post you have there! When you are designing your home and garden area, use a variety of colors and patterns. Consider home & garden discount using a theme for the room or garden area and then all you have to do is shop for items along that theme. This is a great way to save money on clearance racks and closeout sales. I just want to say thanks for your wonderful post, it is contain a lot of knowledge and information that I needed right now. Thanks for this kind of article. Getting the house cleaned with the cheap price is very tough these days. We, at SoHo rug cleaners, believe in the providing out customers with the best carpet cleaning nyc service right at their door steps. Such a nice & useful post. Really happy to see such post. I have come to know about many new ideas. I will try my best to implement some of them. Thanks. United carpet clears are one of the most famous service provider for Carpet Cleaning NY. We also provide various services like Rug cleaning, upholsery cleaning and Carpet Cleaning NYC . Very useful article. Really appreciate this kind of post. Here we got idea about window cleaning. By reading this article we know how to make window shinning. Apart from this we also need to how to control pest in our house. You can check here, https://dhakapestcontrol.com/. Here you know what kind of insects are available in our house and how they damage our health and lives. I really enjoyed reading this post, thank you for sharing. I rarely come across the article equally interesting and informative! I generally prefer floor squeegee and as a regular user would recommend it to all. Very informative post. In Bangladesh there are another company name Dhaka Cleaning who provides also window cleaning service.